Armor tanking is the most common defensive method used by Gallente and Amarr pilots, as well as some Minmatar, and even a few enlightened Caldari capsuleers. Knowing how to maximize the strength of your armor tank can be essential to your success or survival in EVE. This class explores the techniques, skills and fittings for effective armor tanks. Additional information: This class is primarily lecture, delivered in the Class.E-UNI channel in Mumble, followed by Q&A. There will be no practical exercises. It's useful to have examples of each of the modules listed below, to post to chat when described. The class slideshow: Armor Tanking 101 Slideshow. Note the slideshow does not include every single piece of information on this wiki page - it is meant as a complement to listening to the class, not a replacement. If you notice any errors on the slideshow, or out-to-date information, or have an idea about something that should be added, please forum-PM Kivena. Welcome to this class on armor tanking! This course is designed primarily for pilots that want to know more about how to armor tank their ships. That is, how to reinforce and maximize the armor layer of protection against damage. Over the next hour or so, we'll explore various techniques, skills, modules, rigs and implants that can help you improve your ability to armor tank. Please make sure your Mumble settings are configured for "Push to Talk" if you have not already done so. Damage to your ship is represented by the Ship Status Panel - the three rings on the top of the status panel represent, from outermost to the inner ring, your ship's shield, armor and structure. As you incur damage, each ring will fill with red coloring, starting with your shields, then your armor, and finally, your structure. When the structure ring is completely red, that means your hull has been breached, and your ship is destroyed - and you'll find yourself floating in space in a pod. Tanking refers to improving your ship's defensive capabilities to resist avoid or absorb incoming damage, thus preventing or delaying your ship's destruction. There are several different tanking strategies used for this purpose. Each tanking strategy uses different modules and methods to maximize hit points, improve resistance to incoming damage, and increase the speed of repairing damage taken. The amount of incoming damage depends on your speed and size. The faster you are the harder it is for turrets to track and hit you and Missiles will do less damage to you. In the same way the smaller the ship or signature radius the harder its is to lock and hit you and missiles do less damage. Shield tanking focuses on maximizing your shields' ability to withstand and/or repair damage. This is the most common type of defense for ships with larger numbers of mid-slots, where most shield modules are fitted. Hull tanking focuses on reinforcing the structure of your ship to withstand and/or repair damage. Generally, hull tanking is not considered to be very viable, as hull repairers are relatively inefficient. Speed tanking is a strategy which maximizes the velocity of your ship, in order to avoid damage. This approach can be effective for some extremely fast ships, though it requires a highly skilled pilot to execute. EWAR tanking refers to relying on electronic warfare modules to make it difficult for enemies to inflict damage. This approach is generally difficult to execute without the support of other ships. Armor tanking, the subject of this class, focuses on maximizing strength and effectiveness of your armor to withstand and/or repair damage. This is the most common type of defense for ships with a greater number of low-slots, where most armor-related modules are fitted. There are two ways to minimise your incoming damage - moving fast and being small. The smaller and faster you are, the less damage you take from all primary weapon systems (with a couple of exceptions, such as bombs, smartbombs or doomsday devices - these don't care how small or fast you are). When you fit armor plates and armor rigs, this makes you slower and less agile. When you fit shield extenders and shield rigs, this makes you bigger. If you do both, you get slower and bigger - thus, you take a lot more damage. To find out why you take less damage by being small and fast, have a look at the missile and gunnery classes - the equations these weapon systems use to determine how much damage you take depend in part on your velocity and your signature radius. See Gunnery 101. There are many more modules to choose from when armor tanking than when shield tanking, probably one will fit your specific requirement. Active armor tanking modules are more capacitor-efficient than shield tanking modules. Your midslots are left free for afterburners, tackling modules, and other very useful utility modules. Some ships have bonuses to armor tanking, and some ships have a large number of low slots and fewer mid slots - these sorts of ships will benefit from being armor tanked. Unlike shields, there is no inherent regeneration rate to armor. When your armor tank fails, you have less of a buffer before your ship is destroyed than a shield tank. It takes more skill points to mount an effective Tech II armor tank - mostly due to the skill Hull Upgrades 5. Armor mods occupy low power slots, reducing your ability to fit damage mods. Although active armor tanking modules are more cap-efficient than shield tanking ones, armor repairers cycle are a lot slower than shield boosters, repairing fewer hitpoints per second. Because they generally have more low slots, and therefore can fit more armor-tanking modules, Gallente and Amarr ships are usually armor tanked. The Gallente Hyperion and Proteus, and the Amarr Abaddon and Legion, have the strongest sub-capital armor tanks in the game - and can exceed 60,000 hit points in armor protection, and over 200,000 effective hit points in total, with the right skills, modules and implants. Many Minmatar ships can also be armor tanked, as they typically have a more balanced distribution of low, mid and high slots. Very few Caldari ships armor tank, with the exception of the Scorpion and Blackbird. These are sometimes (and in the Scorpion's case, usually) armor-tanked so that they can keep as many midslots as possible free for ECM. 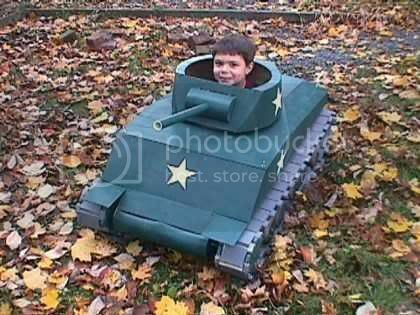 The primary armor tanking skill is Hull Upgrades, which grants a 5% bonus to armor hit points per skill level. Hull Upgrades V is the prerequisite for the most useful Tech II armor resistance modules. Mechanics is also required to fit armor repairers, and should be trained up to level V to fit Tech II equipment and operate it effectively. Mechanics also provides a 5% bonus to structure hit points per skill level. Training the four armor-compensation skills is also important, since most of the commonly-used armor hardener modules will benefit significantly from them. These skills increase resistance to specific types of damage by 5% per skill level for passive armor hardeners, before Retribution 1.1 these skills also helped active modules but this is no longer the case. For regular armor tankers, each of these skills should be trained to at least level III or higher, IV is highly recommended. Maybe even V once your ships get bigger and more expensive. There are no longer any skill requirements to fit rigs, but rigging skills can reduce the drawbacks associated with certain rigs. For example, Armor Rigging reduces the speed penalty of certain armor rigs by 10% per level. Repair Systems is required to operate armor repairers effectively - each level reduces repair systems duration by 5%. Tech II units are available at skill level IV, though training to level V is recommended to minimize the length of repair unit cycles. It should be noted that a reduction in cycle time increase the effective capacitor use of the module. Armor Layering reduces the mass penalty of fitting armor plates by 5% per level. Which means that if a ship is fitted with an armor plate, training this skill up improves both the ships agility all the time, and top speed when using an afterburner or microwarpdrive. In other words training this skill up will reduce some of the disadvantages of choosing to armor tank. Resistance Phasing is useful if you fit a Reactive Armor Hardener, It reduces the cycle time of the module (10% per level) and decreases the capacitor need (15% per level). More information on the Reactive Armor Hardener later in the class. Shield Management while not technically an armor tanking skill, increases your overall shield hit points by 5% per level, which helps any ship, regardless of the way its tanked. Tactical Shield Manipulation is also not technically an armor tanking skill (actually required for a Tech 2 shield tank) but it helps increase your shield buffer. When your shields fall below 25% damage starts "leaking" through to your armor, training this skill helps minimize how much damage leaks through, when trained to level 5 no damage leaks through. This is a "nice to have" when it comes to armor tanking but not required. Resistance percentages are calculated in a way that many people find confusing. A module may list itself as having a 30% bonus to resistances -- but the only time you'll actually see a 30% increase in resistance when using it is if your current resistance is 0%. The way the calculations work is that the percentage is applied to the remaining vulnerability. If things didn't work this way, you'd easily get resistances above 100%, and shooting you would cause armor to grow on your ship. Resistances are easier to figure out if you think in damage vulnerability rather than damage resistance. Example: let's say we're flying a Harbinger, and we want to buff up our explosive resistance. The Harbinger already has a built-in 20% explosive resistance, so we have a 80% vulnerability, and if we get hit by something that does 100 explosive damage, we take 80 damage. Pretty simple. That's still a lot of damage, so we now fit an Armor Explosive Hardener I, which gives us a 50% resistance bonus (the game lists this as a -50% resistance bonus which is also confusing). This 50% is applied to the remaining vulnerability, which if you remember is currently 80%. Half of 80% is 40%, which means this is our new vulnerability, and thus a 60% explosive resistance. If we get hit by that explosive damage missile again that deals 100 damage, now we are taking only 40 damage. (Now on slide 8) But we want to reduce this even more. So we fit an Energized Adaptive Nano Membrane II. This is a super awesome module that gives us an extra -20% resistance to all four damage types. However we now run into stacking penalties, which apply to armor and shield resistance modules and rigs. The second module (that is the module or rig with the second-biggest bonus) that affects a specific damage resistance is only 87% effective, the module with the third-biggest bonus is 57% effective, and it gets less and less effective as you fit more of the same thing. Because we now have two modules that affect explosive resistance, the smaller bonus (i.e. the -20% from the EANM) is actually only 87% effective, which means it only gives us a 17.4% bonus to armor resistance. Note that the other EM, thermal and kinetic resistances are unaffected because we only have one resistance bonus for each of them, so those three still give the full 20%. Remember we had a vulnerability of 40% from the previous slide. This -17.4% is applied to this 40% vulnerability, which results in a 33% vulnerability, and a 67% explosive resistance. The missile hitting us for 100 damage now only deals 33 damage to us. Because of stacking penalties, and the way resistances multiply together, it is not possible to be 100% resistant to a damage type. The best possible resistance is about 99.3% EM resistance, which is possible on a Loki with officer modules (link in chat: http://i.imgur.com/FHaNYk4.png - point out the use of 100% EM incoming damage) - if doomsday devices could be used on sub-capital ships, this Loki would survive three strikes. Resistances are the basis for the concept of EHP, short for "Effective Hit Points." The vast majority of ships have some level of resistance to each damage type across each layer of HP (shield, armor, structure). Because of this, 100 points of outgoing damage does not usually equate to 100 points of damage sustained by the defending ship. EHP is a way of describing how much raw damage must be applied to reduce a defending ship's HP to zero. EHP is usually calculated against omni damage, that is, all damage types dealt simultaneously in equal proportion, however, it is possible to calculate EHP against specific damage types as well. Example: A defending ship has 100 hp, and resists 90% of all incoming damage. Another ships attacks with offensive weapons that deal 100 damage each volley. Thus, the defending ship only takes 10 damage from each volley, and so it takes the aggressing ship 10 volleys to destroy its target. From the aggressing ship's perspective, its weapons dealt 100 raw damage each volley, so the defending ship had 1000 effective hit points, rather than the 100 "real" hit points. There are two main ways to armor tank: active, or buffer. Active tanking is generally necessary in PvE to maintain tank and capacitor over a relatively long time. For example: Imagine you have an armor repper that repairs 100 points per cycle. If someone deals you 1000 points of explosive damage, to which you have a 0% resistance, your armor repairer will repair this in 10 cycles. If you have 90% resistance, you'll only sustain 100 points of armor damage, which the repper will fix in one cycle. However, to get this level of resistance you need to know the specific type(s) of damage that will be dealt, which is generally not possible in PvP. Buffer tanking is most common in fleet PvP, but also group PvE (like incursions, wormhole anomalies / signatures and a few others). In PvP a fleet will overwhelm an active tank in fairly short order, whereas a buffer tank will give you more survival time. Although, some ships with faction gear and active tank bonuses can field some extremely resistant active tanks that can take on more than you might think. In general if you are expecting to have Logistical support (friends to rep your armor) then you want to buffer tank more towards resistance, because the higher your resistances the more effective logistic reps are. While if you don't expect logistical support you only care about the Effective Hit Points, so whatever combination gives you more effective hit points is the best option. For PvP, fit the largest single plate you can, and then play around with Armor Hardeners, Energized Plating, Resistance Plating to get the most Effective Hit Points that you can get. For PvE, fit one or two repair modules (depending on how much cap you have available), and then fit as many armor damage resistance modules of the appropriate damage types for the expected enemy. Armor plates are the simplest armor module; they add a flat amount of armor to a ship. These can be an excellent way of adding buffer to your tank, but the penalties of increased mass make them uncommon in PvE. The large amount of mass they add to a ship, reduces agility, so are rarely used on faster ships. While 1600mm plates are the largest size, they can often be fitted to cruisers, giving a big boost to their EHP. Note: the Reinforced Rolled Tungsten plates are the Meta 4 version and are also very popular. They don't add as much armor HP than the T2 steel plates, but they use significantly less powergrid and add less mass (thus retaining some of your agility). They can be useful if you're short on PG. A Damage Control module gives a significant boost to any ship's durability by giving resistance bonuses to armor, shields and hull. This is the only module to increase hull resistances, which makes it very valuable in most ships, as it gives you a larger buffer before your ship is destroyed, buying you more time to escape if necessary. It is a passive module, but it is easy to fit and uses very little energy (less energy than the base cap recharge at 0% cap). These resistance bonuses don't incur stacking penalties with other tanking modules but do with `Armor Resistance Shift Hardener`, only one Damage Control can be active in a ship at a time. Extremely common in PvP, some snipers or EWAR might choose not to fit them but most will. Less common in PvE but can still be useful for armor tanking PvE. If you fit only one tanking module to your ship, the DCU is the module to use. Just don't forget to turn it on. Armor Hardeners are active modules that boost one of the four armor resistances: EM, Thermal, Kinetic or Explosive. Realize that when you are in game the fitting window won't show you an active module's bonus until you actually activate it. Which means you have to be in space. (Alt-F is the default shortcut combination to open your fitting window). This is a new module introduced in Inferno and you can only fit one. Uses more capacitor than standard armor hardeners, when you turn it on it gives you -15% extra armor resistance across the board to all resistances. However it shifts its resistances according to incoming armor damage, moving the resistances gradually per cycle. Example: if you are being hit by only EM damage, the 15% to all resistances will gradually shift to 60% EM resistance and 0% all other resistances The shifting effect is only activated when your shield has gone and you are taking armor damage. Shifts by 6% per damage type per cycle. If you're being continually hit by only EM damage, each cycle your EM resistance will increase by 18% and the other three resistance will each decrease by 6%. Useful module for buffer tanking if you have a lot of armor EHP and will survive long enough for the shifting resistances to benefit you. Also it doesn't suffer from normal stacking penalties with other armor modules but does conflict with the DCU. The Armor Resistance Phasing skill will reduce cycle time and capacitor need of the module, which makes it a much better module. Before Kronos, the cap use reduction was less than the cycle time reduction meaning you would use more cap per time with higher skills. In Kronos both reductions go in step, so capusage stays constant. EANM (Adaptive) -- The Energized Adaptive Nano Membrane gives a boost to all 4 resistances. Very popular to increase armor resistance across the board. 30/36 CPU for T1/T2 versions. EALM (Layering) -- this module gives your ship a percentage bonus to armor. 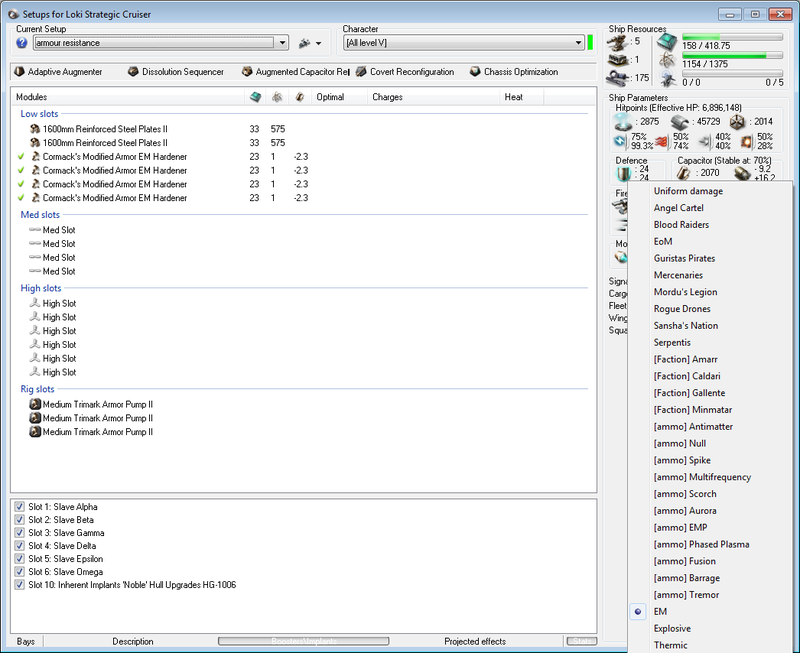 If you'd like to fit an armor plate, or an additional armor plate, consider this module instead. Because it's a percentage bonus, you get more benefit on larger ships. The T2 version of this has the same effect as a T1 trimark armor pump rig - the rig might be a better, to keep your low slots free. Specific hardeners (EM/Thermal/Kinetic/Explosive) -- these are used to boost one of the four resistances. Explosive hardeners are the most popular, because most ships have very low explosive resistances. In a ship with lots of tanking slots, you may do better to have these modules than multiple EANMs. The EANM and the specific energized membranes become more effective when you train your EM/Explosive/Kinetic/Thermal Armor Compensation skills, gaining 5% increase with each level. For example, the T2 EANM gives you 20% to all resistances. If you train all the Armor Compensation skills to 4, this will become a +24% to all resistances. The Imperial Navy Energized Adaptive Nano Membrane is one of the most popular faction modules and is pretty cheap nowadays. These modules are very similar to the energized membranes above, except they use no CPU and are less effective. They have the same versions as the energized membranes. They are very useful if you're short of CPU, and the faction variants approach the effectiveness of the energized modules. Use Energized Plating if you can, downgrading to Resistance Plating if you run out of CPU. These modules repair your ship's armor, just as you'd expect. 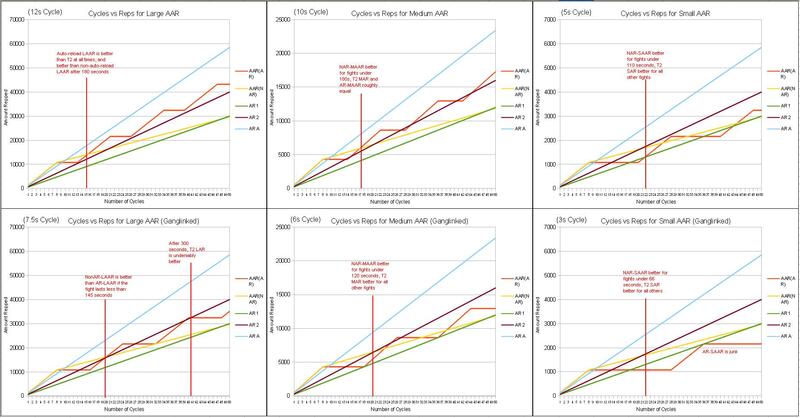 The better modules are more efficient, and may cycle somewhat faster. Armor reppers are not usually recommended in fleet PvP, because they cycle fairly slowly. If your ship is called primary, it's likely that the repper won't have time to cycle before your ship explodes. Fitting a buffer tank, and warping out when you're targeted, is recommended instead. Reppers are, however, very useful in PvE activities, since NPC ships don't typically deal damage as quickly. See also Armor Repairer. They can also be extremely effective in solo PvP. For ships with armor repairer bonuses, such as the Gallente battlecruisers and battleships, two armor repairers can be very effective for mission runners, if cap stability can be maintained. Always uses the same cap as a normal (T1/T2/Named) Armor Repper. Small uses 1 paste per cycle. Medium uses 4 paste per cycle. Large uses 8 paste per cycle. Holds 8 cycles worth of paste at a time. Reload time is 1 minute. When not loaded with Nanite Repair Paste, the AAR has 3/4 the rep amount as a T1 Armor Repairer. When loaded with Nanite Repair Paste, the AAR triples the rep amount (repairs 2.25x a T2 repairer when loaded). The AAR has the same cycle time and fittings as T1 reps.
Limited to one per ship. Remote repair modules repair armor on other pilots' ships. Note that you must target the ship to be repaired, and that your cannot repair your own ship with a remote repper. They are more useful in fleet operations than regular reppers, for a couple of reasons. First, one repper can repair many ships, given time. Second, the repper cycles more quickly than an onboard repper does. Third, if several ships have them, they can focus their repair power on whatever ship in the fleet is being attacked, giving that ship a great deal of armor repair capability. This is known as Spider Tanking. The problem with using the remote repair modules on non logi ships is the range, all the ships need to remain in a small area. Note that remote repair modules take a significant amount of capacitor to run -- non-logistics ships will probably need a cap booster module to use it for any length of time. Trimark Armor Pump -- The Tech I version gives a 15% boost to total armor, at the cost of some ship speed. It's the rig equivalent of the Armor Layering Membrane. Trimark rigs are not stacking penalised (armor HP is never stacking penalised). They apply after any fixed HP bonus from armor plates. Incurs a 10% penalty to maximum speed. There are also damage-specific resistance improvement rigs. The most commonly used is the Anti-Explosive Pump, since armor tanks are generally weakest to explosive damage. Armor resist rigs are stacking penalized with; Armor Hardners, Energized Planing and Resistance Plating modules. Armor resist rigs penalize speed by 10%. Auxiliary Nano Pump -- Increases a ship's armor repairer repair amount per cycle by 15% at the expense of increased power grid use for local armor reps. Suffers from stacking penalties if you fit more than one. Nanobot Accelerator -- This rig speeds up armor repair module cycle times by 15%, again at the cost of power grid use. In theory this is more effective for active armor tanks than the Auxiliary Nano Pump, but because it also causes you to use a lot more capacitor, it is used less often. Despite what the description says, it doesn't suffers from stacking penalties if you fit more than one. There is also the incredible Slave set of pirate implants. This is a series of implants that fit into slots 1-6. Each provides a bonus to armor hit points, but when you fit the entire set, it provides a multiplicative total bonus of 53.63%. Unfortunately, a complete Slave set cost about 1.8 billion ISK or more. There is a less expensive low-grade Slave set, which provides an aggregate bonus of 33.83% to armor hit points. These are a relative bargain at only 750 million ISK or so. You can mix & match HG and LG Slave implants, for a final armor HP bonus partway in between. You can also get some officer-fit implants, that are variations of existing implant series except more effective. Once example is Akemon's Modified 'Noble' ZET5000 implant, which is an 8% version of the Hull Upgrades HP-10xx series of implants. It's correspondingly more expensive as well. On pages 16 and 17 of the slideshow are some examples of fitted armor tanks, for both PvP and PvE. These are just examples of one way to fit your ships, as always you should use PYFA or EveHQ to create your own fit that suits your skills - don't just blindly take fits from other people and assume they will work for you. A couple of PvP fits on page 16, one Hurricane for fleet work (this would work quite well in armor gangs, and also in general E-UNI fleets) and one Vengeance - Amarr assault frigate - for solo PvP losec roaming. Page 17 has PvE fits, one fairly cheap and straightforward Apocalypse mission fit that should do L4 missions effectively. The downside of this fit is that it's extremely slow - some people might drop one repper for an afterburner in the mids for some speed, but then you have to be a bit more careful as you have less tank. The Loki is an incursion fit that would be a very welcome DD ship in any armor incursion fleet. I would appreciate any feedback from people on how to improve the class. Small 59-54cap/5-4.5sec 7-8 20-24 +80-96 While the T2 versions use less cap per activation, the shorter cycle time means they still use more cap overall. This page has been accessed 151,542 times.